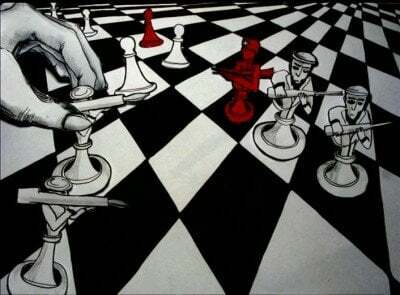 Hybrid Wars 6. Can Thailand Tackle Its Hybrid War Threats? Thailand is the most crucial country in mainland ASEAN’s current geopolitical framework, bringing together the infrastructural interests of China, India, and Japan, and also being a sizzling political battleground between the US and China. It has a strong and stable economy (the largest in ASEAN behind Indonesia), and its centrally positioned population of nearly 70 million people outnumbers those in neighboring Laos, Cambodia, and the eastern region of Myanmar. With centuries of rich history behind it, Thailand is also one of the region’s civilizational leaders, but unlike contemporary Laos and Cambodia, it actually has the means with which to project its soft power and promote its political interests abroad. Ironically, however, just as much as the idea of civilization is a potentially unifying element for Thai society, it could also lead to its ultimate unravelling if this three-pronged concept is undermined in any significant way. Should naturally occurring, provoked, and/or manufactured factors negatively impact on the monarchy, military, and/or the idea of Central Thai-led “Thaification”, then Thailand could easily slide into a period of internal pandemonium that might reverse its leading regional status, subvert some or all of its planned transnational integrational projects, and might even lead to its partial territorial disintegration. The geopolitical significance of Thailand cannot be overstated. The country’s dual maritime and mainland identities allow it to exert influence in either direction, and by tangential extent, so too can its premier allies. For decades, the US had used Thailand as a springboard for promoting its unipolar interests deeper into the heart of mainland ASEAN, but with Prime Minister Prayun Chan-o-cha’s decisive pivot towards China, Beijing can now reversely utilize its strategic advances in the country in order to acquire unrestricted access to the Indian Ocean. Furthermore, China isn’t the only country that has identified Thailand’s geopolitical potential, since both India and Japan are partnering with it in order to construct their own transnational connective infrastructure projects, the ASEAN Highway and the East-West Corridor, respectively. In the case of the latter two, their combined projects create the possibility of linking both of the Indochinese Peninsula’s coasts, which would of course complicate China’s multilateral economic diplomacy with the subregion via the ASEAN Silk Road. Finally, Thailand is a distinct civilizational center in mainland Southeast Asia that has previously been a force of strength and stability, and the undermining of its unifying identity of Thaification and its structural support mechanisms of the military and monarchy, no matter in which manner this may be, could create a burst of chaotic energy that collapses Thailand’s multipolar bridgehead potential and converts it into a geopolitical sinkhole. The book’s research on Thailand begins by commencing a speedy overview of the country’s history, regretfully glossing over some of the finer elements of its past in favor of offering a concise synopsis most pertinent to the topic at hand. The work then identifies Thailand’s leading historical themes and explains their relevancy to the present. The final part of the study elaborates on the three interlaced Hybrid War threats afflicting Thailand and games out various scenarios for how they could unfold. The modern-day territory of Thailand has historically played a very influential role in regional affairs, either as an important component of other empires (the Khmer Empire, Lan Xang, and the Burmese Toungoo and Konbaung Dynasties) or a center of power in its own right (the Rattanakosin Kingdom). Whether it was on the receiving or promoting end of regional influence, its centrally positioned location made it indispensable in facilitating engagement between the various powers and peoples of mainland Southeast Asia, and this geopolitical constant has remained in force up until the present. Furthermore, Thailand’s role was heightened by the “mandala” model of political relations that prevailed prior to the region’s colonial period, which saw civilizational cores radiating their influence and authority, sometimes even with geographically overlapping results with neighboring rivals. The interests of Burma (as scholars casually refer to what is now known as Myanmar during that time), Lan Xang, and the Khmer Empire thus intersected over contemporary Thai territory and the “mandala” of Ayutthaya (located north of Bangkok), stimulating a unique centuries-long civilizational engagement between these diverse actors and underlining the hub role that Thailand has traditionally fulfilled. To begin describing some general points of Thai history, the modern-day state’s progenerator was the Ayutthaya Kingdomthat existed from 1351-1767, and just like the Rattanakosin Kingdom that would later succeed it in 1782 after a brief regency transition to the Thonburi Kingdom, it had its fair share of territorial ebbs and flows. Its full history is quite detailed, but as a cursory summary, it promoted its interests eastward at the expense of the Khmer Empire but was later ransacked and destroyed by the invading Burmese Toungoo and Konbaung Dynasties from the west. All told, there were 20 different wars between Siam and Burma throughout the 16th to 19th centuries, representing a staggeringly high incidence of conflict between these two neighbors. While the historical memory of this rivalry still partially remains in each country’s contemporary psyche, it’s obviously no longer as influential of a force as it once was, although it could possibly be revived by either side for domestic political purposes and/or provoked from abroad to achieve certain geostrategic ends. The Rattanakosin Dynasty that rose from the ashes of the Ayutthaya and Thonburi Kingdoms succeeded in halting the Burmese blitzkrieg and generally stabilizing its western frontier. This allowed it to more forcefully expand eastwards and incorporate the lands of the weakened Lan Xang into its empire and begin making concentrated moves against the Khmer. By the early 1800s, however, Vietnam had completed its incorporation of the southern Champa Kingdom and the Khmers’ holdings along the Mekong Delta via its Nam tiến (“southern advance”), thus placing it into direct rivalry with Siam for control over the rest of Cambodia. The two expansionist states of Siam and Vietnam inevitably ended up clashing over the Cambodian lands that were caught between them, bringing the two to war in 1831-1834 and 1841-1845. France began its imperial occupation of Indochina shortly thereafter through the 1858 invasion of Cochinchina (the area around contemporary Vietnam’s Mekong Delta) and its 1863 “protectorate” over Cambodia, the latter of which pushed back against Siam’s interests and put the French military directly along its southeastern border. French imperial expansionism had its next major spurt during the 1893 Franco-Siamese War when Paris was successfully able to wrest control over most of Laos. Right around this time the UK also took the initiative in bringing the remaining Shan States in then-Burma under its control, thus cutting off what had earlier been Siam’s northern border with China. The French finalized their imperial frontier with Siam from 1904-1907, and right afterwards the British pressured Bangkok into acceding to the 1909 Anglo-Siamese Treaty that surrendered the latter’s control over some of its southern Malay-populated territories. The combined French and British moves from the past half century were interpreted as a massive humiliation for Siam, albeit ones that were seen as strategically necessary in order to retain the Kingdom’s formal independence. Both imperial powers envisioned Siam functioning as a neutral geopolitical buffer between them, and for the most part, it played this role quite well. 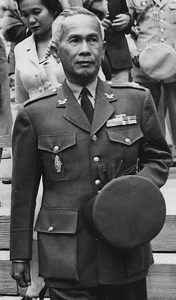 However, the territorial losses that multiethnic Siam suffered during this time in what are now modern-day Cambodia, Laos, Myanmar, and Malaysia would play into the nationalist hands of World War II leader Field Marshal Plaek Phibunsongkhram (Phibun) and inspire the country that he had renamed “Thailand” to side with fascist Japan. Siam experienced a swift military coup in 1933 that degraded the absolute power of the monarchy and led to quasi-democratic advancements. This event is notable because it was the first of many forthcoming significant times that the military would intervene in domestic political affairs, as has since regularly happened in the decades afterwards. In the years following the coup, the state began to accentuate its majority-Thai ethnic identity, particularly focusing on the Central Thais as the cultural core of this movement. At the time, a multitude of ethnic minorities still resided within Siam’s borders, although they weren’t as numerous or geographically concentrated as they previously were when the country controlled Laos and Cambodia, for example. Nonetheless, in the prevailing nationalist zeitgeist that was sweeping the world in the 1930s, Siam felt compelled to exercise its own version of these ideals, and the legacy of this initiative has continued into the present. It’ll later be described how the Laotian-affiliated Thai nationals of Northeastern Thailand (“Isan”) are ethnically, culturally, linguistically, and historically distinct from their Central Thai counterparts, but at this moment of time, it’s enough for the reader to understand that there were strong enough ethno-regional disparities in Siam to somewhat warrant the authorities’ belief that an identity-unifying program was necessary. The concept of Central Thai nationalism was enthusiastically promulgated by Field Marshal Phibun after he ascended to power in 1938 and became the country’s Prime Minister and Commander of the Siamese Army. One year later, vehemently believing in the idea of Thaification, he renamed the country to “Thailand” (understood as meaning “land of the ethnic Thais”) and issued 12 socio-cultural decrees that have been referred to as the “Cultural Mandates”. They dealt mostly with nationalism (i.e. renaming the country) and various behavioral actions (e.g. banning female toplessness, implementing a national dress code, suggesting optimal meal times and recreational activities, etc. ), but what’s most relevant to the current study is how some of them sought to erode ethno-regional divisions, thus indicating that this form of identity was not only embedded into the minds of certain peripheral inhabitants (northern Hill Tribes, northeastern Lao, eastern Khmer, southern Malays, and western Karen), but that it was visible enough to pose what Phibun had by then considered a threat to national unity. Of pertinence, Mandate One includes a statement stipulating that “The people and nationality are to be called ‘Thai’”; Mandate Three says that citizens should “cease referring to Thai people inconsistently with the name of the nationality, or according to the preference of the group” and “use the name ‘Thai’ to refer to all Thai people, without subdividing them”; and Mandate Nine was specific wording that “Thai people must not consider place of birth, residence, or regional accent as a marker of division”. Phibun’s nationalist ambitions extended beyond Thailand’s borders and into the territories that his country had humiliatingly been forced to cede to the French and British during the late-Siamese period. The territorial expansionism of fascist Japan was therefore attractive to the Thai leader, and he moved to ally his country with the rising imperial power in the hopes that it would aid and abet his own international designs in the region. The two states signed the Treaty between Thailand and Japan Concerning the Continuance of Friendly Relations and the Mutual Respect of Each Other’s Territorial Integrity in June 1940, and by the end of the year, an emboldened Thailand launched a war against France’s Indochinese possessions in Laos and Cambodia. The resultant Franco-Thai War ended with a Japanese-mediated peace in May that granted Bangkok control over some of the Laotian and Cambodian territories that it had earlier lost to Paris. Later that year, however, Japan ended up invading Thailand on 8 December, 1941, in order to secure transit rights for its planned attack on British-controlled Burma. That same day, Tokyo also attacked Pearl Harbor, Malaysia, and the Philippines. Phibun quickly capitulated and soon thereafter formalized his alliance with Japan, which later ended up leading to his country receiving certain territorial “rewards”. Specifically, Thailand reversed the losses that it had suffered in then-Burma’s Shan States east of the Salween River and the Malay-dominated provinces that it had formerly administered before 1909. After the end of the war, however, Thailand was forced to relinquish its control over these areas once more, thus solidifying the present-day borders of mainland Southeast Asia. After World War II, the US was insistent that Thailand not be punished for its actions and should only have to return the territory that it earlier occupied due to Japan’s diplomatic and military assistance. The French and the British were adamantly against such a lenient approach, but the US clearly enforced its will over its weakened allies in getting them to acquiesce to the slight ‘slap on the wrist’ that it envisioned. Washington’s strategy was simple but very successful – it knew that if it could co-opt Thailand by offering it a post-war ‘olive branch’, that it could then become the country’s implicit ‘protector’ in guaranteeing its sovereignty and security amidst the two vengeful empires that it was between and thereby establish its influence over the crucial mainland Southeast Asian state. The US had earlier granted independence to the Philippines but still commanded predominant influence over its affairs, but it needed a mainland component to complement its insular foothold in the region and diversify its geopolitical holdings, ergo the reasons for reaching out to Thailand. Soon enough, the seeds of this policy ripened into geopolitical fruit when the US began involving itself in the War on Indochina, using its network of air force bases in Thailand to conduct bombing raids all throughout the region. Thailand was also facing a mild communist insurgency in its northeastern region, so its leaders felt the need to side even more closely with the US in order to receive its full support (which Washington happily provided in return for the basing rights). The country was undeniably at the forefront of the US’ War on Indochina and continued to occupy a chief anti-communist position even after the formal American withdrawal from the subregion in 1975 and Thailand in 1976. Rouge guerrilla soldiers drive through a street in Phnom Penh, April 1975. Thailand played host to insurgent Khmer Rouge units that were fighting against the Vietnamese units stationed in their country after the 1978-1979 war, coincidentally evoking shades of the conflict that both of them had over their neighboring in the 1830s and 1840s. The Vietnamese launched border raidsagainst the US– and Thai-supported Khmer rebel forces, and Thailand and Laos entered into a brief border war from 1987-1988. Bangkok’s position during this period was greatly increased through its neutralization of the northeastern communist insurgency in the early 1980s, which allowed it to secure its territory and more assuredly destabilize its Laotian and Cambodian neighbors without fear of consequential internal reprisals. All in all, it can be accurately surmised that Thailand consistently remained the US’ most stalwart ally in mainland Southeast Asia throughout the entire Cold War, proving that Washington’s post-World War II policy of punitive leniency was successful in achieving its tacit objective of strategically acquiring a forward operating position in the region. One of the most important domestic political developments during the Cold War era was the rise of student advocacy groups during the 1970s. These were the vanguard of popular anti-military movements that wanted to return the country to civilian rule, although quite a few of the students envisioned that the future government should espouse socialist-like characteristics. 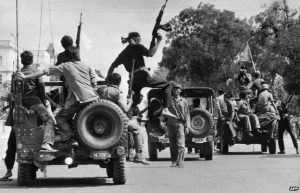 A series ofstudent-organized mass demonstrations took place in October 1973 that eventually led to the military stepping down from power, but the brief period of civilian rule was cut short after the October 1976 student massacre that placed a different group of generals into power. What’s critical to point out in both of these monumental historical events is that the students played a key role in triggering the regime changes that ended up taking place, whether they were the kind that they anticipated (such as in 1973) or not (like in 1976). The precedent of nationally significant student political activist movements is a socio-cultural factor that cannot be erased from the Thai psyche owing to the impact that the two regime change events in the 1970s had on the country. It can be said that student-driven movements have been somewhat of a tradition in Thailand ever since, a national ideal that is cherished yet controlled. Nowadays this type of anti-establishment resistance is once more returning to the forefront as Thaksin Shinawatra and his proxies seek new and creative methods to weaken the multipolar-oriented military government and return themselves to power. 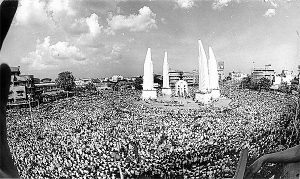 The student movements of 1973 and 1976 didn’t have the Color Revolution works of Gene Sharp to guide them, but in the early 21st century, their modern counterparts could predictably employ such measures as a means of maximizing their regime change efficiency, which in either case could evoke strong historical emotions among regular Thais. For example, some sympathetic segments of society would naturally view such a movement as following in the footsteps of 1973, while others might be fearful that it could end in a violent way like in 1976. If the military actually does crackdown just as it did 40 years ago, then this time it would likely receive intense Western criticism and might even be dubbed ‘the new Myanmar’, possibly with a similar sanctions regime imposed against it just like the ones that were enacted against its neighbor. If the US takes the lead in trying to “isolate” Thailand as a result of this, then it would only succeed in drawing the government closer into China’s arms, just like it did with Myanmar after 1989. Thailand’s economy began to surge in the mid-1980s and exhibited the world’s fastest growth from 1985-1994, averaging 8.2% per year over that that period. The lightning-fast development that took place catapulted Thailand into Newly Industrialized Country status and placed it on the global investment map. However, such rapid growth also had its detriments, since it resulted in financial and sectoral bubbles that would inevitably be popped. Be that as it was, there was no guarantee that Thailand’s economy absolutely had to tank, as is what ended up happening as a result of the 1997 Asian Financial Crisis. To remind the reader about what was written at the very beginning of the book’s ASEAN research, that regional economic crisis was spurred by George Soros’ speculative and vulture-like practices, which when combined with Thailand’s existing structural deficiencies and bubble vulnerabilities, created an economic storm of catastrophic proportions. It should also be reminded at this time that the incident also served the dual goal of testing the degree to which a manufactured economic crisis can trigger regional anti-sovereignty processes, be it regime change like what later happened in Indonesia or capitulation to the IMF like Thailand ended up doing. The economic difficulties of the immediate post-crisis years gave birth to the socio-political conditions that would be necessary for Thaksin Shinawatra’s political career to take off. The multimillionaire businessman had a knack for populism and in presenting himself as a non-establishment figure, which garnered him exceptional support among the rural citizens of the country, especially those in the northeastern region of Isan. Aided by handouts and generous subsidies, his policy of “Thaksinomics” endeared him to a wide subsector of the previously apolitical masses, getting many of them involved in the political process for their first time and thereby irreversibly widening the country’s electorate. While he was busy generating his groundswell of support among the rural poor, Thaksin was also engaged in a lot of self-enriching corruption (which he was later found guilty of in 2008), but he hoped that his close ties to the US establishment would be enough to help him weather through any domestic crisis. In order to endear himself closer to Washington, he contributed troops to the War on Iraq in 2003 and was ‘rewarded’ later that year by having his country designated as a “major non-NATO ally”, thus allowing it to purchase a different caliber of American military equipment that it had earlier not been able to. The announcement also symbolized the close nature of strategic ties between the two decades-long ‘partners’, which essentially has always been that of a patron-client relationship. 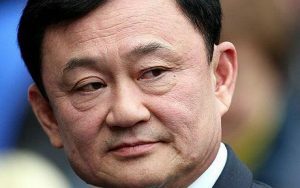 Ingratiating himself even closer to Washington, Thaksin unilaterally pushed for a free trade agreement between Thailand and the US without consulting the country’s legislature, an arrogant political move that eventually contributed to his 2006 ouster. Prior to his overthrow, he intensified military operations against the Muslim Malay separatist movement in southern Thailandthat had recently been rejuvenated, some members of which had begun to resort to terrorist attacks and affiliate with Al Qaeda. The legacy of this dual-sided escalation has been that 150,000 troopswere deployed in the region as recently as 2014, and the Hybrid War vulnerabilities that this conflict entails will be discussed later on in the work. Thaksin’s direct dominance over the Thai political scene would soon come crashing down in 2006 after the military staged another coup. The political situation in the country had become markedly polarized in the year beforehand, with Thaksin’s corruption having become a galvanizing force for the nascent opposition. His political opponents boycotted the 2005 electionsthat he held three years before schedule, and they were marred by widespread accusations of fraud. Thaksin wanted to centralize his power while he still had the support of the rural masses, predicting that his popular appeal might falter after the introduction of the US free trade agreement that he planned to implement (but was never able to successfully conclude). The country was thrown into political turmoil right after the vote was held, and the crisis continued until September 2006 when the military acted to restore order. Thaksin was abroad at the time in New York City and was charged with corruption, which he was found guilty of two years later, and his political party was dissolved. A new one was promptly formed in its place, and it capitalized off of the social capital their leader had cultivated during his premiership to win the 2007 elections, which in turn set off a new round of political turmoil in the country. Thailand became divided between pro-Thaksin “Red Shirts” and anti-Thaksin “Yellow Shirts”, and street violence began to regularly break out between each competing camp. The Prime Minister was changed a few times within a couple year period until the 2011 election brought Thaksin’s younger sister, Yingluck Shinawatra, to power. She was commonly perceived as being a political stand-in for her brother, and while this earned her the full support of the Red Shirts, it equally brought upon her the full consternation of the Yellow Shirts. The opposition reorganized and commenced a massive protest movement against her in 2013, and she responded by unleashing her Red Shirt hordes against them. Just like the destabilizing situation that her brother engineered before her, the military was forced to intervene to restore order in the face of the rapidly uncontrollable chaos that had broken out, and the coup authorities led by former Commander in Chief and current Prime Minister Prayut Chan-o-cha are still running the country until new elections can be held. In a sense, the 2014 coup signaled a new beginning for Thailand in terms of its domestic and economic policies, but at the same time, the main underlying source of internal political destabilization remains. To briefly expand on the latter point, Thaksin’s supporters, the Red Shirts, will stop at nothing to see their political hero return to power, even if they must once more put one of his political proxies into office first. The US is now supporting the Red Shirt movement because it’s extremely unhappy at the foreign policy moves that Chan-o-cha has made. What he’s done is enact a geopolitical reorientation towards China precisely at the time when the US is throwing much of its resources behind the “Pivot to Asia” and building the Chinese Containment Coalition (CCC). While it was predictable that some sort of internal military intervention would have likely occurred to calm the Red Shirt-inspired unrest that had spread throughout the country, the US probably didn’t predict that the coup authorities would so ambitiously alter their country’s geopolitical trajectory. The US doesn’t care about Yingluck or Thaksin personally, but what it simply wants to see is a loyal pro-American proxy government installed in Bangkok to facilitate the creation of the CCC, and it just so happens that the Shinawatra family has enough convincible (rural) popularity to ‘justify’ their imposition in the eyes of the international community. If need be, the US could conveniently find a fill-in candidate to assist with the political ‘transition’ before either of those two ‘legally’ return to power, but the national vision that Chan-o-cha has set out to achieve is in stark contrast to the US’ plans. Being a professional military man of the nation’s highest caliber, he has deep knowledge about how the US operates within his country, and he’s thus taken to using that privileged information in order to craft the most efficient strategies for combating Washington and ensuring his country’s sovereignty. No leader in Thailand’s post-World War II history has taken moves as bold as he has to defend his country’s independence, thus making Chan-o-cha’s rise to power completely unprecedented in the history of US-Thai relations. He’s not “anti-American” per say, but it’s just that he does not want to see his country become a sacrificial vassal state in the New Cold War against China, ergo the pragmatic multipolar balancing measures he’s undertaken in accelerating Bangkok’s relations with Beijing (while refraining from open criticism of the US). Perhaps most controversially, and what’s triggered the strongest public outcryfrom the US, has been his curtailment of certain civil liberties as a precautionary measure in defending against Washington’s trademarked Color Revolution intrigue. As a military expert, Chan-o-cha is keenly aware of the skill with which the Red Shirts and its US patrons have exploited these rights before, so he undertook the measures that he did in order to ensure that he and his administration can remain in power long enough to see their domestic and international reforms succeed. Unintentionally, however, by almost fully neutralizing the US’ “legal” Color Revolution toolkit, he forced Washington’s strategists into a regime change corner and pressed them to move forward with Unconventional Warfare tactics instead (e.g. the August 2015 Bangkok bombing), albeit of a ‘soft’ and ‘less chaotic’ nature than what has been employed in other battlegrounds like Ukraine. The reason for the US’ relative ‘restraint’ is that it simply wants to engineer the type of destabilizing conditions that can push the military off balance and make it easier for a follow-up Color Revolution to succeed. Thailand’s hub status in connecting India’s ASEAN Highway to Japan’s ASEAN transoceanic railroad between Myanmar and Vietnam is of the utmost critical importance to the CCC, and it would only be in the most desperate of circumstances that the US would sacrifice these projects in the name of an all-out and uncontrollable destabilization of Thailand. There’s a very real risk, however, that the Hybrid War games that Washington is playing against Bangkok might quickly and expectedly become uncontrollable, thereby needlessly endangering its own allies’ transnational unipolar infrastructure projects all in order to obsessively stop China’s ASEAN Silk Road. Chan-o-cha is therefore facing a quite formidable challenge in opposing the US’ anti-Chinese strategic dictates while simultaneously maintaining domestic stability within his own country. 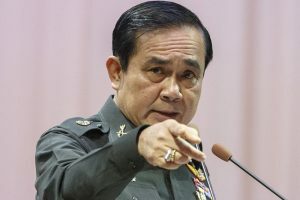 If he can contain the Hybrid War escalation that the US has initiated and proactively deal with the myriad of threats that it might foreseeably unleash in the coming future (whether intentionally or unwittingly), then the military leader will solidify himself as Thailand’s greatest and most successful post-war visionary. Precisely because of the sheer enormity of what’s at stake, however, the US can be expected to employ all possible means of pushing back against him and spoiling his multipolar plans. Thailand has undergone 19 separate military coups in its history, underscoring the frequency at which the military involves itself in domestic political affairs. The country’s very close relationship with the US has both political and military contours, with the latter being relevant precisely because it demonstrates how deep American influence runs within the Thai establishment. 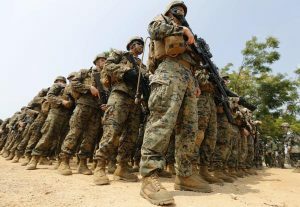 Oftentimes, Thailand’s military coups were the result of domestic squabbles, but the US’ influence over the military meant that Washington could potentially exploit this institution as it saw fit, especially if there was a perceived geostrategic advantage to be had. For example, the 1976 coup may have been triggered by unpredictable protest circumstances, but it convincingly looks to have occurred to the grand strategic advantage of the US. Observers would do well to remind themselves that the 1973 civilian government asked the US military to leave two years later, which just so happens to be the year that communist forces liberated all of Indochina and won the wars in Vietnam, Cambodia, and Laos. The US was unquestionably at a strategic disadvantage through its withdrawal from Indochina and removal from Thailand, and given the “domino theory” fear mongering that prevailed at the time, many decision makers may have sincerely thought that Thailand would be the next country to “fall”. A military government would be more attuned to the US’ strategic interests than a civilian one would, which turned out to be exactly the case in the context of post-1975 Cold War Indochina. Although a civilian government would later be reinstituted, the 1976 coup was responsible for reverting Thailand back to a reliable American proxy state and backpedaling on all of the pro-sovereignty steps that its civilian predecessors had made. Throughout the 1980s, Thailand was working hand-in-glove with the US in supporting Khmer Rouge rebels along its eastern frontier and engaging in a proxy war against Vietnam, whom the US still had a fiery vengeance against. From the perspective of bilateral relations, the Thai military used to be the US’ most dependable instrument of power over the country, essentially functioning as a regional extension of the Pentagon itself (albeit much less poorer). Whenever there’d be some kind of domestic disruption that could be forecasted to possibly result in the temporary diminishment of Thailand’s regional influence (and to a degree, the US’ influence vis-à-vis that country), then the military would step in to restore order and offset that possibility. It’s not to infer that every single coup in Thailand’s history was the result of some American plan, but that the US strategically gained each and every time that this occurred, and it never allowed these sorts of events to negatively impact on bilateral relations. The only exception to this time-tested ‘rule’ has been the 2014 military coup, which Washington did not at all expect to turn out as it did. Prayun Chan-o-cha obviously planned his moves long in advance, as can be evidenced by the calculated domestic and foreign political steps that he’s undertaken since coming to power. It’s highly unlikely that his geopolitical pivot towards China was a spur-of-the-moment decision, nor was his decree to limit certain civil liberties in order to prevent a Color Revolution against his rule. He clearly had the foresight to identify what steps needed to be done in order to restore and strengthen Thailand’s sovereignty, thus indicating that he had thought long and hard in advance of his actions. Furthermore, Chan-o-cha plainly anticipated that there’d be a strong degree of American pushback against his moves, and that it would be a lot more substantial than the empty window-dressing rhetoric that typically accompanied each of Thailand’s previous coups. For the first time in Thailand’s history, the military isn’t managing the country on the US’ behalf, but is doing so with the Kingdom’s true geopolitical interests at heart. The next mainstay of Thailand’s post-World War II history is the privileged relationship that it’s political, economic, and military elite have enjoyed with the US. This was largely expanded upon above, but to shed some additional insight into it, the US uses key individuals and institutions in order to assert its hegemonic dominance over Thailand. Washington’s utilization of the military for this purpose has just been described, but it does something very similar with the economic and political leaders in the country as well. For example, Thaksin Shinawatra satisfied both criteria in this regard due to his multimillionaire business background and his later leadership over the state, which allowed him to simultaneously exert pro-American influence over these two spheres. While Shinawatra is the most well-known and popular of the bunch, he isn’t by far the only one, as there’s an institutional cadre below him – both within the Red Shirt movement and those not formally affiliated with it – that are promoting the US’ influence within Thailand. The US’ ideal plan for the Southeast Asian country is for it to become a loyal member of the CCC, capitalizing off of the ‘historic friendship’ that it has with the US in order to ‘justifiably’ transform into a continental version of the Philippines. Just as the insular island chain is Washington’s premier puppet state in the South China Sea, so too does the US want to see Thailand become its mainland equivalent, with both states potentially exercising negative influence on China’s One Belt One Road (OBOR) strategy. The Philippines has the possibility of becoming a maritime nuisance in the South China Sea and being built up into the US’ next “unsinkable aircraft carrier”, while Thailand could renege on its commitment to the ASEAN Silk Road. Taken together, Thailand and the Philippines were supposed to be the crucial anchors of the US’ “Pivot to Asia”, but this calculated strategy was thrown into disarray when Chan-o-cha came to power and revealed himself to be a multipolar visionary and a firm proponent of Thailand’s sovereignty. Without Bangkok’s participation in the CCC, the US’ approach to ‘containing China’ has been totally lopsided, as Beijing is able to counter any of Washington’s relative advances on the naval front simply through the existence of its ASEAN Silk Road project. The US therefore wants to restore its hegemony over Thailand in order to either cancel or control the ASEAN Silk Road, which in either case would nullify China’s strategic ‘detour’ through mainland Southeast Asia and ultimately put its regional trade networks under the Pentagon’s blackmail. It doesn’t seem likely that there’ll be an intra-military coup to overthrow Chan-o-cha, which is why the US is now seeking to leverage the economic and political allies that it still has inside the country. It’ll be described later on more in-depth, but the Red Shirts and their followers are expected to form the vanguard of any future Color Revolution movement, and they could possibly be joined by radical Buddhist monks that follow the Myanmar model of religious-nationalist destabilization. On the economic front, these two groups could encourage their supporters to carry out labor strikes and street traffic disruptions, all in an attempt to grind Bangkok’s economy to a halt as a means of provoking anti-government resentment and Color Revolution sympathy. More institutionally, however, the US could also incentivize its allied economic elite to commence an information campaign extolling the ‘benefits’ of the TPP, which when combined with affiliated NGOs and the aforementioned political actors, could help shape a more robust anti-government campaign by offering a ‘positive vision’ for Thailand after the violent reimposition of pro-American civilian rule. Often neglected by the international media in their coverage of the military-political drama that regularly breaks out in Thailand, the monarchy is one of the most influential institutions in the country and quite frequently the normatively decisive voice that many in the population listen to. The present ruler is King Bhumibol Adulyadej, also known as Rama IX, and he’s been on the throne since 1946. 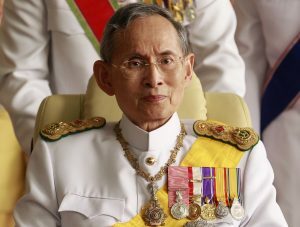 Having presided over the constitutional monarchy for so long, Rama IX has experience in dealing with literally every aspect of Thailand’s post-World War II history, although sometimes his legal restraints have prevented him from exercising his preferred will over whatever the given situation may be. Regardless, he’s revered as a grandfatherly figure that most Thais can depend on, a familiar steward that has the country’s best interests in mind. When Rama IX vocally gives his support in one direction or another, be it to a group of protesters or to the military authorities, it’s seen as a stamp of approval that the population typically abides by. That being said, at the same time, there’s a movement to decrease the ‘social sanctity’ of the monarch and dispel his normative authority. Thaksin and the Red Shirts are chief among these advocates, and they provocatively want to “modernize” society by removing Rama IX’s influence over it. Many traditionalists oppose the Red Shirts simply on this principle alone, not wanting the most enduring symbol of their past to be sacrificed as a victim of one or another political party, let alone a group which is presently supported from abroad. The Red Shirts are capitalizing off of the country’s anti-defamation laws and the current curtailment of certain civil liberties in order to mock the monarchy and provoke highly publicized arrests, cognizant of the fact that the military authorities would then be cast in a very negative light by sympathetic Color Revolution media outlets in the West. These publicity stunts have infringed on the near-sacred sensitivities that many Thais feel towards their monarch, further heightening the political polarization inside the country and increasing the potential for street clashes between the competing groups. The pro-American “opposition” inside Thailand therefore intends to whip up emotionally driven tension related to the monarchy issue as a means of both impugning the military authorities and deepening the socio-political divide inside the country. Pro-monarchist Chan-o-cha and his government are enforcing what the average Western individual interprets as “draconian anti-free speech legislation” in imprisoning social media ‘activists’ that criticize and disrespect the King, and the Red Shirts are gleefully manipulating their strategically planned provocations in such a way as to create a false association between the monarchy, the military, and “dictatorships”. This has the effect of generating even more Western civil and governmental support for their “pro-democracy” movement and in preparing the international (Western) consciousness for the policies that they’d like to implement if they’re able to seize power. Just as Erdogan sought to neuter the military’s capability of carrying out a pro-constitutional coup against his rule, so too will the Red Shirts likely do something similar in order to safeguard their physical position. In parallel, they’ll also make a move against the monarchy so that it can never present a normative threat to their rule again. This would see them either totally eliminating the institution altogether (possibly using the inevitable passing of the elderly king as a trigger for this), or completely sidelining its significance over national affairs by pigeonholing it into irrelevancy just like its Scandinavian counterparts. Both of these policy enactments would generate a storm of controversy within the country, but if the Red Shirts were able to hold on to power and weather the challenge, then they’d qualitatively transform the existence of the Thai state and put it on the trajectory for prolonged one-party rule. The military is a critical precautionary institution in physically preempting this eventuality, but the monarchy might have even more influence in preventing this process because it’s the only actor capable of galvanizing wide segments of public support in its given direction. If the King came out strongly enough against one or another political party, then that said organization would lose the critical normative approval that’s traditionally needed in Thai society. It doesn’t seem as though Rama IX will ever change his mind and support the Red Shirts, even if they come to power in a Color Revolution, so this is why the movement is so strongly against him. Additionally, his successor and son, Maha Vajiralongkorn, is a military man who inherently understands the importance of that sister institution, so he’d naturally seek to strengthen both of them once he assumes the throne. From the perspective of the Red Shirts, this is a major threat that would undermine everything that they’re working for. Since they don’t feel confident enough in their ability to co-opt either the king or his heir apparent, they’d rather do away with the monarchy entirely than risk having it as a perpetual enemy in the future. The idea of a popular anti-government uprising became enshrined in the Thai consciousness after the 1973 student-led revolution, and from that point on, civilian and military leaders alike became aware of how quickly mass protest movements can topple the state. Likewise, the people learned just how much power they truly have, especially if it’s applied in a strategic way against certain elements of the establishment. This tactical revelation and its successful implementation in 1973 forever changed the nature of Thai politics, although it of course took some time for the lessons to sink into the minds of each respective actor. The state had to come to terms with the fact that it could be overthrown by a mass of protesting civilians, and that when confronted with such a challenge, it must tread quite carefully in order to avoid enflaming the situation even more. The wrong response, perhaps a militant crackdown leading to a disproportionate number of casualties among unarmed civilians individuals that have nothing to do with the Color Revolution disturbance, could spell the end of the authorities’ rule by generating such a scandal that the newly protesting masses are literally impossible to control without resorting to large-scale and seemingly random violence. On the other hand, the protesters, while conscious of their capabilities, also became familiar with their physical limitations and vulnerabilities. Finding the perfect balance between these two is the ultimate goal of every anti-government leader, and if the right equilibrium is finally struck, then the state is thrust into a grand strategic dilemma that typically results in it making the sort of fatal errors that lead to its imminent downfall. In Thailand, “people’s power” movements can manifest themselves either in whole or in part as being composed of students (like in 1973), street activists (such as the Red Shirts), and/or Buddhists (following the Myanmar model). Additionally, the term “people’s power” was even trademarked by a political party in Thailand that later turned into a safe haven for Thaksin’s allies following his ouster. The “People’s Power Party” basically functioned as a front organization for the banned Thai Rak Thai Party until it too was dissolved by constitutional order in December 2008. What’s essential to note when describing the role of “people’s power” movements in post-1973 Thailand is that they are one of the most effective methods for enacting regime change, especially in the past decade. When employed to their full potential against a civilian government, this social weapon can provoke the type of street disturbances and chaotic outbreaks that necessitate a domestic military intervention (coup). Similarly, when it’s turned against the military authorities that have assumed responsibility for the state (as in the current situation), “people’s power” movements can either enact enough pressure against them that they’re forced to step down (like what happened in 1973) or provoke a harsh crackdown that prompts sharp Western criticism and leads to the coup government’s isolation from the Western international community, both of which are unfavorable to the state. The trick here is for the “people’s power” organizers to find the delicate balance between maximizing their physical capabilities and minimizing their associated vulnerabilities, all the while crafting ingenious marketing plans in order to make their movement as societally broad-based as possible. In select circumstances, there’s also the possibility of the Color Revolution vanguards emphasizing identity differences in order to purposefully sow strategic societal differences among the population, which thus leads to a progressively complicated domestic situation for the authorities to deal with. In particular, this sort of scenario forms a critical component of the US’ Hybrid War toolkit in Thailand, and it’ll be expanded upon at the end of the research. The last time-tested trend in Thailand’s recent history has been the policy of Thaification, modelled off of the culture and dialect of the Central Thai, which is the most populous group in the country. It’s understandable why Thailand ended up promoting a unifying sense of identity. 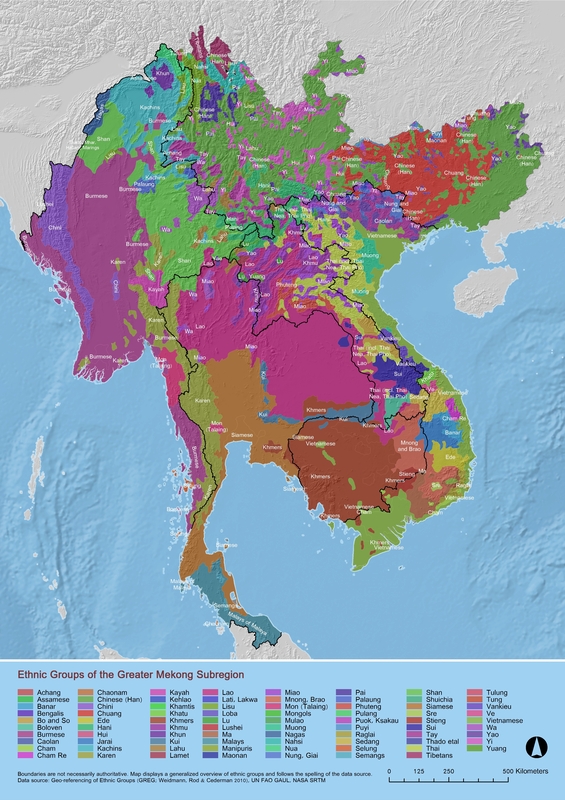 There are many ethnic minority groups concentrated in particular regions of the country, most prominently including the Hill Tribes of Northern Thailand; the Lao-affiliated population of Northeastern Thailand; Khmer in Eastern Thailand; the Muslim Malays of Southern Thailand; and the Karen of Western Thailand. Each of these identities is separately distinct from one another and from the majority Central Thais, yet they all still cumulatively form a minority of the country’s population. The promotion of Central Thai identity as the unifying aspect of Thailand and all “Thais” is not just the expression of the majority’s cultural and dialect preferences over that of the minority, but also that of the literal geographic center over the periphery. It’s important to keep in mind that the core mass of the population is gathered in the central region, and that this group represents the cradle of Thai civilization. From Bangkok’s perspective, it only makes sense that national cultural standards are modeled off of the Central Thai, as doing otherwise could have been met with uncontrollable revolt among the group most numerically and geographically capable of overthrowing the authorities. That being said, Thaification has not been without its controversies. Some members of the peripheral ethno-regional groups feel that their identities have been infringed upon and that the enforcement of Central Thai cultural standards is leading to an erosion of their own. They worry that the cultural peculiarities that mark their communities will one day be lost, and some have attributed this fear to being one of the reasons behind the Cold War communist insurgency in Northern and Northeastern Thailand. While it’s debatable to what extent identity separateness was to blame for the conflict, it still objectively exists as one of the contributing causes. The crystallization of ethno-regional identities independently of or in spite of Central Thai-based Thaification is one of the greatest threats to the country’s social and administrative unity. Thailand had been a multicultural society for centuries before the idea of identity homogeneity was first promoted in the 1930s. Ironically, it seems that while the policy itself was designed to eliminate peripheral feelings of separateness and proactively counter possible separatism (which the authorities may have feared could be promoted by the neighboring imperial powers so as to further infringe on the kingdom’s sovereignty), it looks to have had the unintended aftereffect of retaining, and in some cases, even aggravating these issues. Such appears to be the case with Northeastern and Southern Thailand, both of which have a strong and very different sense of ethno-regional identity than the Central Thais do. Isan, as the Northeast is sometimes referred to, is one of the most populous yet impoverished areas of the country, and the people are descended from ethnic Lao and speak a dialect of that language. In the extreme southern provinces, most of the population is Muslim Malay and don’t have anything in common with the Buddhist Thai, be it religion, ethnicity, language, or even a common sense of history. The identity contrast between the majority population in the governing center and the minority peripheral groups forms the basis for what might under certain circumstances escalate into an existential struggle in defining the nature of the Thai state, let alone whether or not the country itself should even still be referred to as “Thailand”. This prospective scenario of identity conflict, both among the country’s ethno-regional populations and between themselves and Bangkok, is a nascent process that looks to have already begun in part. It hasn’t yet approached the breaking point and exploded into an all-out crisis, but it also hasn’t receded in recent years either. Quite the contrary, identity tension appears to have crept even closer to the mainstream, dragged near the spotlight by Thaksin and his Isan-based populist supporters as part of the political game that they’re playing against Bangkok. If Central Thai-led Thaification and the nominal unity that it espouses come under threat by the Red Shirt supporters in Isan, then the entire social foundation on which post-World War II Thailand rests would be thrown into question, with potentially far-reaching and unpredictable consequences. The research has finally progressed to the point where it’s applicable to more comprehensively discuss the Hybrid War scenarios facing Thailand. The previous historical and thematic reviews familiarized the reader with the contextual background that’s necessary in comprehending the intricacies of why the following scenarios are the most plausible ones that could occur. Each of the three could theoretically happen on their own and independently of the others, but it’s highly probable that they’ll follow the sequential order in which they’re examined. Categorically speaking, they represent the phased transition from a Color Revolution to identity tension and an Unconventional War. 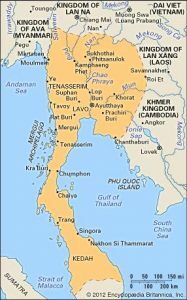 It should be reminded at this time that the US would ideally prefer not to totally destroy Thailand in the same manner as it has attempted to do to Syria, thereby meaning that it would like to contain the destabilization to the first and second discussed categories, but if it absolutely needs to sacrifice its Indian and Japanese allies’ unipolar infrastructure projects within the country to destroy the ASEAN Silk Road (or if it can’t control the chaotic forces that it unleashes), then it’ll belatedly accept this eventuality and proceed to the third and final regime change step. 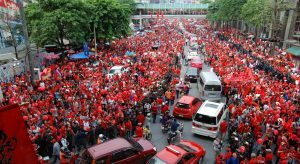 The pro-American Red Shirts are at the helm of the Color Revolution movement in Thailand, and their aggressive agitation is expected to continue until they either achieve their desired regime change objective or are organizationally crushed by the military (which is of course easier said than done). Their tactical aim is to assemble a widespread and inclusive front of various grievance-motivated protesters in order to form the critical mass of discontented citizens that they need in order to arrange a major destabilization. While this isn’t necessarily an unquestionable prerequisite, it would greatly aid their efforts if they were able to gather a more diverse grouping of ‘human shields’ than those that are simply pro-Thaksin, since any preplanned provocation against the military could realistically result in casualties among those other members and the increased involvement of their respective protesting groups into the Color Revolution movement. Continuing with this tactical theme, it would be a public relations masterstroke if the Red Shirts were able to co-opt radical Buddhist nationalists such as Phra Maha Apichat Punnajantho into their street demonstrations. The sacred role that Buddhism holds over the nation’s psyche means that many of the masses hold deep respect for the monks that represent it, and the international public is largely unaware of the violent nationalist subsects within this stereotypically peaceful religion. Protesting Buddhist monks, no matter what their nationalist and aggressive intent may be, could conjure up a unifying and normatively positive image that would shift public and international acceptance in favor of the Red Shirts just as equally as it would reflect negatively on the military authorities that they’re demonstrating against. Something almost exactly similar was attempted in Myanmar during the 2007 “Saffron Revolution” and it had the immediate effect of boosting Suu Kyi and her Color Revolution movement’s prestige. Back then in Myanmar just as it looks to soon be in Thailand, the inclusion of violent Buddhist radicals is actually something that the Color Revolutionaries desire because that would give them cleverly disguised foot soldiers that they could deploy against the military in their oncoming provocations. The media-distorted pictures of supposedly “helpless, unarmed, and peaceful” Buddhist monks being beaten by the military would be presented completely out of context and used to attract new followers that are incensed by the misleading images that they saw. Since most Thais are pious to various extents, what they were artfully made to believe was the military’s use of “wanton violence” against the “peaceful” Buddhist monks could leave an impression on them personally and inspire them to join the protest movement, which in turn would really go a long way in broadening the Color Revolution’s base and generating an inclusive anti-government front. One of the most effective ways in which the aforementioned front could be expanded to its largest proportions would be if the Red Shirts found a way to more fully incorporate “progressively modernizing” anti-monarchist forces into their ranks. This could of course generate some conflict among the pro-monarchist Buddhists that are involved in the Color Revolution movement, but as with almost all of the politically convenient front organizations that existed before it everywhere else across the world, they might temporarily put aside their visionary differences in favor of uniting to overthrow the government and bicker about their post-regime change preferences afterwards. The death of the elderly King could be a trigger for bringing these sorts of “activists” out to the street, predictably ‘celebrating’ the ‘end of an era’ and proclaiming that the military’s normative authority died with Rama IX. It’s not too important what they take to saying, but rather that they go out to the streets in the first place and are absorbed into the already existing protest movement. The more radical of the anti-monarch “demonstrators” could even decide to violently target grieving funeral processors and disrupt other commemorative public expressions of sorrow, which would immediately induce an outbreak of communal conflict between the two camps. Predictably, the all-out unrest that would consequently break out would prompt the military to step in one way or the other, and depending on the intensity of the expected riots, this could likely result in a heightened risk of civilian casualties. Again, from the perspective of the Color Revolutionaries, it’s not important exactly who falls victim to the collateral state-inflicted damage that they’ve provoked, but that the victimized individuals and their associated groups (be they ethnic, confessional, professional, etc.) simplemindedly get drawn into the anti-government movement as a reflexive result. If the provocation is serious enough, then it might serve its worth in functioning as a ‘justifiable’ trigger for escalating the Color Revolution hostilities into open urban terrorism, and if tactically synchronized with the prior inclusion of a wide protesting mass united under a single regime change banner, then it could end up being too much for the authorities to handle short of stepping down or commencing the controversial imposition of martial law. 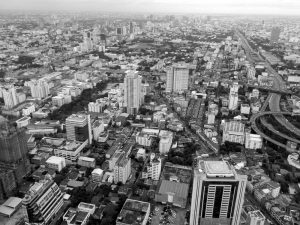 The greatest domestic challenge that has historically plagued Bangkok since the end of World War II has been in fostering and sustaining a sense of identity unity among its disparate ethno-regional groupings. The authorities can’t of course disregard the culture that the majority Central Thai practice, but at the same time, they can’t fully commit to policies that endanger the culture of the peripheral population and cause them to seethe with anti-government resentment. The need for a national culture is apparent, but the difficulty comes down to how this should be implemented and which identities should contribute to the state-wide standard. As it stands, only the Central Thai along the Chao Phraya River are officially seen as being worthy to emulate, and this has led to the government-enforced imposition of their culture and dialect onto the rest of the country, which has been especially resented among the Lao-affiliated citizens of the Northeastern and Mekong River regions. While some of the Hill Tribes of Northern Thailand, the Khmer of Eastern Thailand, the Muslim Malays of Southern Thailand, and the Karen of Western Thailand may also take issue with the state’s promotion of the Central Thai identity, they don’t occupy as important of a geo-demographic role as the people of Isan do. Thailand’s Northeastern region, referred to as Isan by those that support the recognition of its distinct identity (the author is neutral but uses them interchangeably for variety’s sake), contains about a thirdof the country’s territory and a similar percentage of its entire population. Most of its people are engaged in agriculture and it’s one of the poorest areas of the Thailand. What’s significant about Isan is that it recorded the highest rate of growth during the Thaksin-Yingluck years and is regarded as thestronghold of their support within the country. Furthermore, the people there are culturally, linguistically, and historically distinct from the rest of their national counterparts, as most of them are ethnic Lao that socially identify more with their cross-border cousins than with their own countrymen. They may still pride themselves in being Thai citizens, but that doesn’t mean that they accept the government’s official classification of their ethnicity or their Lao-dialect language as “Thai”, and herein lays the crux of what may foreseeably become a looming identity crisis in Thailand. The Northeastern region’s importance to the national fabric is substantial, be it in human, economic, or geographic terms, and it’s definitely not a part of the country that any leader can afford to ignore. Thaksin was successful in co-opting most of its population because his populist subsidization policies appealed to the impoverished masses, and the undeniable physical infrastructure growth that accompanied the 2000s made many of the locals there lifelong loyalists to his cause. The longer that the Red Shirts agitate against the government, the more likely it is that they’ll capitalize off of their ethno-regional origins up until the point that they publicly embrace their identity separateness and begin formally incorporating into their political platform (possibly following the advice of supportive Western-financed NGOs). While this prospective development could also lead to internal divisions among those that favor the Central Thai standard of Thaification, it could be framed in such a way as though they’re pushing back against a seemingly inherent “racist” and “discriminatory” system, wanting to “reform it from within” more so than flirt with sedition and imply any claims to secessionism (even if that’s what they’d tacitly threaten if their demands aren’t met). The highly publicized internal and external awareness that Thailand’s major “opposition” movement has officially recognized an ethno-regional distinction separate from the nationally unifying intent of Central Thai-led Thaification would automatically trigger an unparalleled identity crisis within the state, made even more pronounced by the international (Western) pressure that would correspondingly come down to bear upon it at this critical moment. The perceived failure of Thaificaiton in unifying the masses would lead to a call from the Red Shirts and their foreign patrons that the long-standing ideology be reformed, either through the creation of a compromise national identity that incorporates portions of the peripheral ones, or the casual enforcement or outright cultural autonomy of certain provincial areas. Any formal step in either of these directions would likely be seen as a threat to the Central Thais’ soft power dominance and probably elicit a rebellious response from them, with their newfound rage being directed against the Red Shirts and their Isan supporters and/or the military authorities if they give in to their identity-reforming demands. The Isan Red Shirts might even push for legally enshrined safeguards for their own cultural autonomy, not necessarily because they believe that they’ll actually get this, but because they know the reaction that it will provoke within the country (negative among the Central Thai, positive among all minority groups) and abroad (full Western support). To expand a bit off of the domestic reaction to such a possible pronouncement, other than the expected violence that this might provoke among the Central Thai, it would probably lead to some minority groups in the North, East, and/or South aligning themselves with the Isan Red Shirts. This is because no single ethno-regional demographic is powerful enough to unilaterally succeed in their identity demands on their own, and even though Isan has the greatest chance of all of them in having this happen, it’s still not guaranteed. However, if other peripheral groups begin siding with them and coordinating certain on-the-ground measures in their support (e.g. anti-government protests and other disruptive rallies), then it could have a noticeable effect in triggering a chain reactive existential threat to the present formation of the Thai state. Once one ethno-regional organization attempts to advance its agenda of constitutionally mandated separateness (no matter how benign and seemingly justified it might appear, such as in safeguarding the widespread use of indigenous languages), let alone if this group teams up and joins together with another of its counterparts elsewhere in the country, then the groundwork is set for easily transitioning this campaign into a political one that agitates for autonomy, federalization, or clear-cut separatism. Should this come to pass in any iteration, then the potential that the governing center could be pitted against an array of peripheral rebel movements would inevitably rise, thus raising fears that the structural model of the Myanmar Civil War would have found its way to Thailand. The outbreak of ethno-regionalist conflict in Thailand would be in direct reaction to the country’s internal identity crisis, with the possibility that certain external variables could aggravate the preexisting tension to the breaking point. Isan is envisioned as being the central battleground, although it’ll likely be supported by one, some, or all of the other peripherally identity-separate parts of the kingdom. In particular, these could be the Hill Tribes of the North, the Khmer of the East, the Muslim Malay of the South, and possibly even the Karen from the West. All of the possible insurgencies could theoretically be backed up with some element of state support in the event that Thailand’s neighbors undergo their own successful regime change experience, which in that case would dramatically escalate the stakes that are at play. The US’ desired goal in any of these instances would be to see the Thai authorities weakened by the multidirectional and multi-issued destabilizations to the extent that an accompanying Color Revolution push would be enough to unseat them and restore its proxies into power. Like it was mentioned at the beginning of the research, however, if the ‘final solution’ to getting rid of the ASEAN Silk Road necessitates an all-out civil war that disrupts or even destroys India and Japan’s transnational infrastructure projects in the country, than that’s apparently the price that Washington is willing to pay in order to contain its chief geopolitical rival in the region. If the Laotian government is overthrown and replaced with a pro-American proxy, or possibly even if its new leadership is somehow co-opted by the US and its CCC, then there’s the possibility that it could offer some minimal amount of support to the Isan rebels in this specific scenario. Nonetheless, it’s not predicted that Vientiane would under any circumstances play a major role in a Thai Civil War, partly because its military is too weak and its capital too exposed to withstand a coordinated counter-attack from the Thai Armed Forces, and also due to the fear that it has of being demographically and economically overshadowed by a quasi-independent Lao-identifying Isan. There’s no realistic scenario where the Laotian elites would pursue formal irredentism in Northeastern Thailand because they know that they’d be the junior partner in any forthcoming political structure. The only possible interest that Laos might one day have would be in forming a “union state” with Thailand modeled off of the one that Belarus has with Russia in order to acquire concrete economic and political guarantees without sacrificing its sovereignty, but even then, this possibility is still exceptionally unlikely in the near- or medium-terms barring the emergence of unforeseen and exceptional circumstances. Moving along in a clockwise direction, Cambodia under the Hun Sen government would be very reluctant to get involved supporting its cross-border ethnic Khmer kin, no matter what happens on the ground in Thailand. China, the government’s main ally, would firmly advise against it at all costs, knowing that even the reporting of rumors that Phnom Penh was as much as considering this could set off a nationalist reaction in Thailand and lead to unpredictable civilian and military actions there. It wasn’t even a full decade ago that the two countries almost went to war over a sliver of territory on their border, so if Bangkok felt as though Phnom Penh might make a far-reaching power grab under the guise of assisting its rebellious cross-border compatriots, then it might disastrously take the prerogative to make a preemptive strike. Another factor to be considered in this scenario is that Sam Rainsy and his oppositionist “Cambodian National Rescue Party” are very nationalistic, so it’s entirely possible that they could use Hun Sen’s reluctance to intervene in a Khmer-involved Thai Civil War as a means of rallying more opposition against him and adding to their Color Revolution cadres. They might even send volunteer groups of fighters to help their ethnic compatriots, and if they’re injured, captured, or killed, it could be enough to provoke an international crisis or trigger a calculated anti-government uprising in Cambodia. Of course, in the event that Rainsy seizes power there (either before or during the possible conflict), then Cambodia would definitely intervene in its neighbor’s ethno-regionalist affairs and contribute to what would predictably by then have become a downward spiraling situation. On the southern front, the current Malaysian government led by Prime Minister Najib Razak doesn’t seem too inclined to throw its neighbor into disarray, no matter the events surrounding the Muslim Malays there. It doesn’t have an interest in seeing the insurgency explode along its border because of the danger that terrorist groups could infiltrate into the country either independently or under the guise of being “refugees”. Kuala Lumpur’s agenda isn’t to expand its territory or become the protector of its ethnic compatriots living in Thailand, but to see to it that Bangkok guarantees that they have a respectable life free from ethnic, religious, and linguistic discrimination. In all actuality, the most practical way to ensure this and pacify the insurgent groups would be to implement a legally mandated framework similar to what the Philippines has tried to do with the Bangsamoro Basic Law in its own southern Muslim-populated region of Mindanao. Given the Thai context, however, it’s not likely that the government wants to go anywhere near granting the region autonomy, predicting that this would just set off a chain reaction of similar separatist sentiment in the other ethno-regionally diverse parts of the country that would eventually result in the state’s full autonomization, federalization, or political dissolution. Malaysia could facilitate this destructive process if it concedes to any US pressure to militantly assist its transnational ethnic kin (whether directly or indirectly) or if a new Color Revolution government comes to power and pursues a policy a radical ethno-religious nationalism. Finally, the last of Thailand’s neighbors that could possibly get involved in the examined civil war scenario would be Myanmar via its support of the Hill Tribes in Northern Thailand or the Karen in Western Thailand. Both of these identities are separate from the Central Thai, but the Karen pose a greater risk than perhaps any of the other aforementioned ethno-regionalist groups because of their militant experience in fighting the Myanmar Civil War. Most of the Karen living in Thailand are refugees that have fled across the border, but like in any case where there’s a cross-border community of war-ravaged expatriates, some of them are undoubtedly fighters, whether currently retired or presently active in the field. Thailand was ironically suspected of supporting the Karen rebels when they were fighting against the Myanmar government, especially during the Cold War, but in the examined scenario, Myanmar could flip the dynamic around and encourage some of the Karen within its territory to carry out attacks in Thailand. There’s also the possibility that Naypyidaw for whatever reason (be it choice or incompetence) does not take part in this scheme, but that the largely independent non-state actors and ethnic militias active in Kayin State independently do so on their own, possibly invigorated by the idea of cross-border irredentism. This feeling could be further promoted if Suu Kyi’s government advances a federal solution to the country’s civil war and the Karen’s homeland is bestowed with de-facto independence in a broad-based and loosely federated system.